You may have heard about our new members location mapping gadget — we think it’s pretty exciting! It pinpoints the locations of your members onto a map, gives basic details on each member, and automatically updates when you add to or change your directory. All that means that you can help visitors get in touch with local members, and help members build a sense of community. Below are 3 examples of how different types of organization use members location mapping, with some ideas you can use when you create your own map. 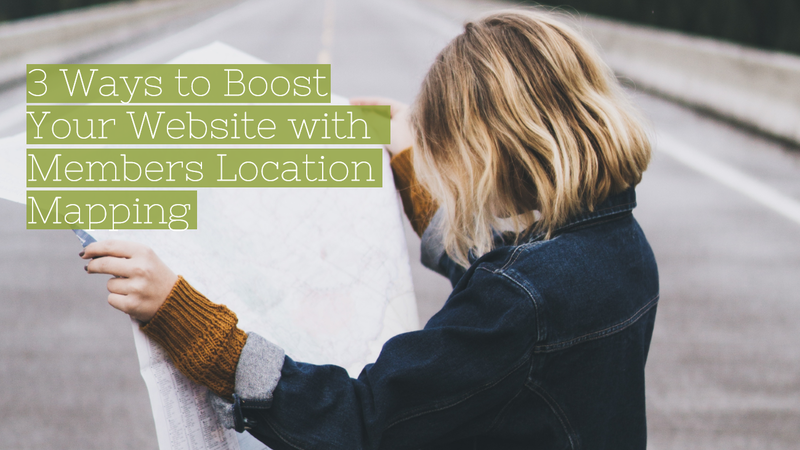 If you’re ready to start using the gadget on your website, take a look at our introduction to members location mapping, or check out this help page for detailed instructions to getting set up. We also have a post with 4 tips for ways location mapping can suit almost any type of organization. The map helps you find members even when they’re not based in major cities. It can be tricky to find these members if you’re searching a directory list that only filters by city, but they're easy to see on a map. It’s easy to see locations in detail. With a member map, it took me under 10 seconds to find a teacher just a few blocks from my home, even though there are 171 ORMTA members in the greater Toronto area. When you click on a member location, the pop-up shows the key information you need. It shows whether the member offers online instruction or in-home service, as well as the subjects they teach. This means you can see at a glance whether they’ll be a good fit, without having to check every member profile. Listing businesses or other groups of members. MACCA have included tips on how to search and use the map, to make it as easy as possible — you can see them in the screenshot above. The pop-ups include the phone number of each member business, so you can call them right away if you’re in a rush. The map directs you right to the person you should contact — each business location links to the profile of the primary contact for that business. This profile also links to the profiles and contact details of other members in the organization, in case you need some more options. Showing selected groups of members. With the map, you can see that the EFT Guild has members all across the globe. Because it’s dynamic, you can still zoom in to see detailed locations. There are also separate maps and directory pages available for the UK, USA and Canada, and Other Countries. On these pages, the maps have been set to only show members in the relevant area, which makes searching them even faster. Check out the UK member directory here. Find out how to show a selected group of members in this help article. The maps are shown as part of a directory pages that give visitors everything they need to make a decision, including a profile image for each member, their membership level, and a link to their website. For more information on the benefits of members location mapping and more details about what it can do, take a look at this blog post.